‘I always try and relate a time-lapse to the context of the story. Look around the environment you are in and see what will connect with your narrative. Choose a strong frame and think how this might change over time. If it will change a lot, it’s likely you’ll make a great time-lapse’. ‘Plan your timings. If your heading out to see the sunrise or the sunset, time is against you. Make sure you know what you need with you and the best spot to capture the shot. You don’t want to be caught out searching for the right lens or looking for a location as the sun slowly disappears, trust me it’s heartbreaking’. I stand frozen as I watch Dan my DOP run around picking up the pieces of his Drone. I stare blankly at the controls as if it is their fault, as if they told the drone to nose dive into the ground. The worst thing about my maiden Drone flight was that our first day of shooting was about 8 hours away. I could hear it now…”…you know the opening shot to the show you wanted, the big drone shot of them heading onto the Island, Yeah we can’t do that I’ve smashed the drone up”. Take any technical equipment to remote places around the world and there will always be challenges….salt water, sand, electrical storms. It takes a lot of prep and a calm head to deal with problems when they’re thrown at you. We were about to film the next episode of The Discovery Channel’s ‘Kings Of The Wild’. Chef Matt Tebutt and Kiwi Hunter Josh James had to survive a week, hunting and cooking everything they could find along the way. Thankfully, we got loads of aerial coverage and avoided anymore crashes. It was our first time flying with the ‘dji inspire’ with the dual operator, so DOP Dan flying and I operated the camera. It worked amazingly well, so easy to set up and the shots were awesome. A key to a successful flight is to constantly communicate and keep talking, letting each other know what moves you are executing and work together at it. Having the drone meant we could show this desolate Island on its own in the vast ocean and illustrate just how far our survivors were from any civilisation. We could send the drone up to a range of 1 kilometer away to really show the isolation of the island, or we could fly it at speed, low across the water, for a dynamic shot of the approach to the Island. The key was to mix up the shots to give the edit choices. Flying it out over the sea as Josh and Matt raced in at the start of the episode, in a fast boat, worked really well and would have been impossible, up to recently, without an expensive helicopter shoot. Another first for us kit wise, was putting the Sony a7s in the underwater housing. The reefs are full of life in Borneo…crayfish, lobsters, coral, you name it it’s there. One simple tip for making it work in water was to stick a couple of weights into the scuba bag to help us swim with it in under the water, flippers on and we were away. Having the a7s meant the low light under the water wasn’t a problem. It’s also a strong and robust camera so perfect for the extremes of ocean filming. Kit used to achieve coverage on Land - Sony PDW F800 & Sony A7 and a crank handle slider and Canon 24-70mm macro. Back on land we utilized the Sony a7s again, this time on a crank handle slider and Canon 24-70mm macro. As Matt prepared a meal of food, he’d caught in the wild, we covered everything in detail with our super smooth tracks / crank slider and macro lens. Amazing to see in such detail the guts being pulled from a fish or the eyes of hermet crab looking around for their escape before they became dinner. So juggling our kit including drones, scuba housing, sliders and the main Sony 800 camera proved to be tricky at times, especially bouncing between “Land, Sea and Air”. But we pulled it off because of Team work and communication. It’s cheesy and a cliche, but it’s also true. Being able to prep and get all these different bits of kit ready, takes a lot of time and attention and proactive thinking but with enough warning ahead time anything’s possible. We’re lucky at the Adventure Film Collective to know how to work as a well oiled team and feed and react to each other. In this instance Dan was DOP, running things on location. The experience we have together means just a quick 2 min chat and I can get the gear ready for whatever is needed over the next hour or so. I’m still not sure what caused the Drone to smash to the floor, I’m going with engine failure, Dans not so sure. In the end the results were awesome. 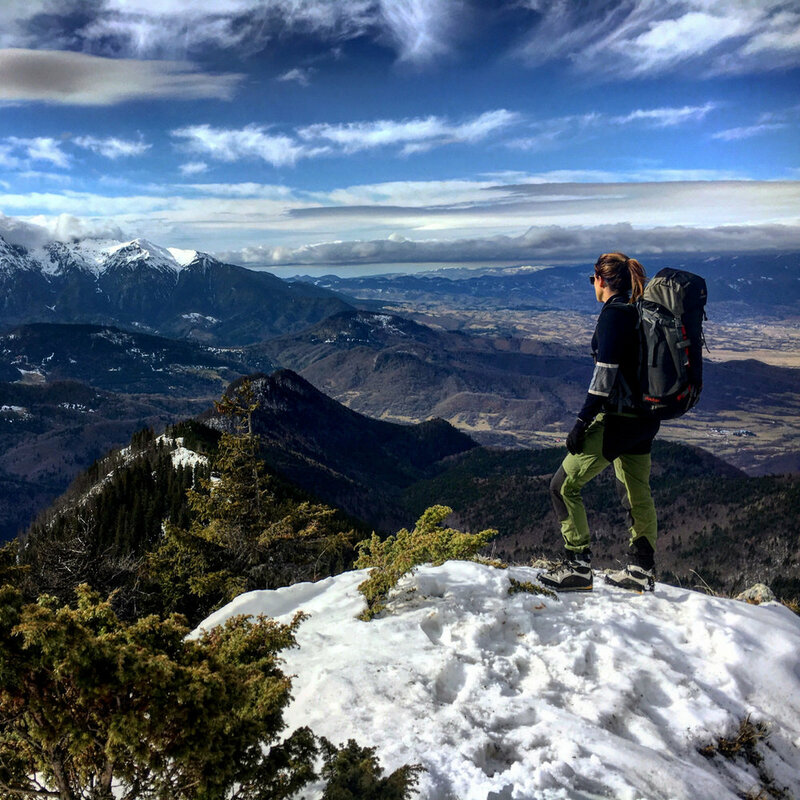 Our resident adventurer and survival expert Meg Hine, tells us why she thinks adventure films inspire us all to explore the great outdoors. ‘Thousands of tired, nerve-shaken, over-civilized people are beginning to find out that going to the mountains is going home; that wildness is a necessity’ John Muir. Through the medium of adventure films we are re-connecting to the wild world in a new and accessible way. Through the eye of the camera lens and the imagination of the director and producers, the wilderness has become accessible to all. Via our favourite shows we are exposed to remote tribes people, sharing a tiny snapshot into their culture, so different to our own. We accompany adventurers on exciting journeys and we learn about plants, animals and insects that are at risk of extinction due to the actions of man. We’ve visited the depths of the sea where we’ve met fantastically weird creatures, we’ve summited the freezing heights of Everest and Motorbiked across the dry heat of the Sahara. The role of adventure film is evolving in our lives, more and more people are watching and to meet this need, more people are making adventure shows. Why is this? Where does this need to watch nature in action stem from? Why do we need to watch people pushing their limits in remote places? I believe the answer is simple yet complex. I truly believe that our human brains are not as modernised as we imagine. Underneath the stresses and materialism of modern day life lies a primitive animal brain. A brain that evolved over thousands of years to maximise survival in wilderness settings. A brain that developed coping mechanisms to survive predation, to improvise hunting tools, the brain of a herd creature, a creature who is designed to work with other similar creatures to further the human race. A creature that ran wild and free, hunting, gathering, herding, constantly moving and always attuned to the wilderness around it. Our brains are fundamentally wild. By watching adventure shows on TV, we feed the animalistic recesses of our brain and a long forgotten emotion is stirred. An ember awakened glows and is slowly fanned to flame. A fundamental need for wilderness places and to run, unhindered through wild terrain, a yearning, which longs to be satiated, a feeling of something missing in life. Adventure film then plays the role of catalyst for many to set out on their own exploration of nature. It inspires, it educates and it does not discriminate. The wild is accessible to all who choose to enter on whatever level. Our Director of Photography, Dan Etheridge, takes us behind the scenes of his shoot in Syria and shares insider tips on how to get the shot. It feels a bit strange writing a small piece about a Syrian refugee camp in Jordan as my first blog for AFC. I was racking my brains for something super edgy, extreme, adrenalin fuelled and visually stunning… Something that would sit nicely nestled next to something Meg has written so much about recently. I had preconceptions, like most people, of what I was going to be walking into in a refugee camp at the centre of the Middle East. I’ve filmed in many ‘extreme’ environments, a phrase that’s often used wrongly in my opinion. Of course they are to a degree, they’ll bite you if you’re not ready but when you’re properly prepared and with the right people it offers the opportunity to experience places that you wouldn’t and couldn’t normally operate in, it’s something available to us all if we just muster the commitment. I have a massive problem with motivation, it’s the enemy in some ways - that’s why I love this quote, a nice one to keep at the forefront of you’re mind before embarking on long/arduous but ultimately fulfilling journeys, whatever they may be. So, walking Into Zaatari refugee camp for the first time I thought I knew what I might expect, what I experienced was quite different. Of course the back-stories of the people who had arrived there were littered with incredible pain and suffering, family members killed, homes and hometowns destroyed and all the imaginable hardships of fleeing from the ravages of war. What I wasn’t prepared for was the incredible, unfaltering positivity and determination in the face of such oppressive adversity. I have never felt so welcomed in my life. Lots of the people there have very little; they’re given the equivalent of twenty pounds a month to spend in one shop. So with very limited resources, they’ve basically created a small town in the middle of the desert, two high streets, playgrounds, coffee shops and parks. It’s astonishing really, and amazing visually, almost felt a bit like something you’d see in Blade Runner or Mad Max movie. I can’t tell you the warmth, generosity and hospitality of the Syrian people in Zataari, I climbed a water tower one morning to get some height on a time-lapse of the dust clouds that whip though the camp. Just as I set it going I got a tap on the shoulder and a guy had followed me up there with a cup and flask of coffee, so we sat for ten minutes, drinking, looking out and just smiling, no words just an offer of friendship. So, on arrival it was a quick cup of Turkish coffee and some of the best wood fired bread I’ve ever tasted with a bunch of super friendly dudes who owned the bread shop, then on with the task of filming. First up when shooting something like this, or anything really, for me I have to soak it up for a bit, have a look round to see what’s going on. Trying to transpose the 3D world, with sounds and smells to a single image is basically impossible. What’s important for me is to try and tune in to the details of the matter, the hard-working hands of the guy who fixes everyone’s shoes and the frayed power cord leading to the machine he’s carried half way across Syria. How skillfully and close his finger gets to the massive needle going on and out of the shoes he fixes for everyone (he told me he’d put it straight through his hand twice). The home made decoration that everyone puts on their bicycles, most of which have been pulled from rivers in Holland and flown over. Timelapses of the dusty, busy, streets where thousands gather to buy their food and goods daily. Slow motion shots of kids playing football on rocky pitches… the ball they play with. Falafel sizzling on oil on a super close up and the super speedy hands of the guys that make them. I was only there for a week and only allowed into the camp between 9-4 every day so I was anxious to gather as much as possible and aware that you could film here for a month and still not get everything. We had to travel as light as possible and have kit that’s not only durable to the heat and fine dust, but could also have the ability to display all of what there was to see as effectively and creatively as possible. HJ22 ENG Lens With Abelcine to PL, then PL to E-mount. MoVi M5 (which fits on the Crane to with a turtle adaptor). The kit I choose on each job is inevitably dependent on budget and in this case durability. There’s lots of changes I’d make if I had more time, more money, more hands, but I need to be able to get everything up and running quickly and on my own at times. Durability is paramount too, hence running a 7D instead of a 5D or the A7s for timelapses – a camera that hasn’t let me down to date and is the SLR equivalent of a Land Rover. Road testing the DJI Osmo handheld stills and video camera. One of the headlines from the producers was to get height and scale into the film. I had an incredible ride over the camp in a UH-72 Jordanian helicopter and filmed out of the side on the skid, then in the camp used the crane to get on top of buildings and any structure that would hold me. The DJI Osmo was amazing for ease of use and incredible what you can do with it, putting it on the end of a large stick and just walking with it, swinging it like a jib or running after a bike, annoyingly though post-production have struggled with it’s codec and I’m currently working with them to try and find a way it can be ingested and used in a professional environment with Avid. Zataari isn’t somewhere that I’d ever visit in my every day life so I feel so lucky to have been there and met some amazing people. We’re bombarded with so much ostensible and incongruous information in today’s world of social media but the reality is so much different and I feel hugely privileged to have seen and experienced it all up close. I hope when you see the documentary on BBC2 the message comes through. Proud as punch to have our very own Meg featured in the Guardian. Read the full article here.